When the power goes out the unit automatically starts and the generator restores the power to your home automatically. 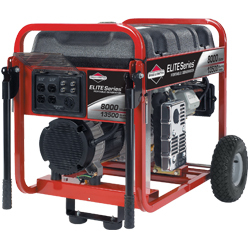 The electric start portable works similarly with the exception that when the power goes out someone needs to start the generator and manually turn on the transfer switch. The automatic standby units are available in natural gas or propane. The portables are available in gas only. Newington Electric's Commercial Division has the experience and is staffed with qualified personnel that can help layout, design, and install a complete emergency standby generator system to meet your requirements. Commercial grade generators are available in a wide variety of sizes and voltages from 10 kw up to and exceeding 1,000 kw. Newington Electric can design and install a system that will handle your entire building or just your critical needs. 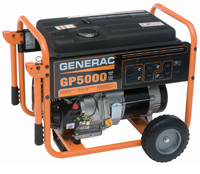 A generator can efficiently supply power to your entire home or business to run your lights. furnace, refrigerator, electric range, security system, computer, TV, well pump, sump pump or whatever else is important to you. Whether you choose a Standby unit or a Portable unit, a generator can provide you with enough power to sustain a prolonged power outage in the heat of the summer, or in the cold winter months. These units not only offer comfort and security, they also provide peace of mind and completely eliminate the loss of electricity.